I decided to make myself some Zucchini Pizza Bites, they were really easy to make. Because my youngest and I haven't been eating meat, I've been looking for alternative meals and snacks to make us. I also have a lot of zucchini in my garden to put to use. 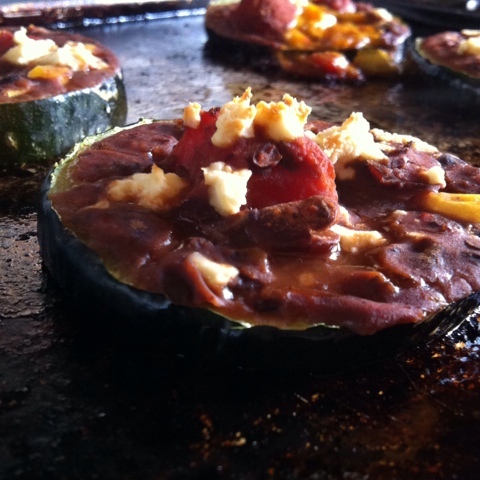 I gifted a couple to a friend a few days ago and she suggested that I make some zucchini pizzas. Since I had no pizza sauce on hand, I decided to use some salsa. I have to say that Newman's Own Black Bean & Corn Salsa is the BEST salsa I have ever had. 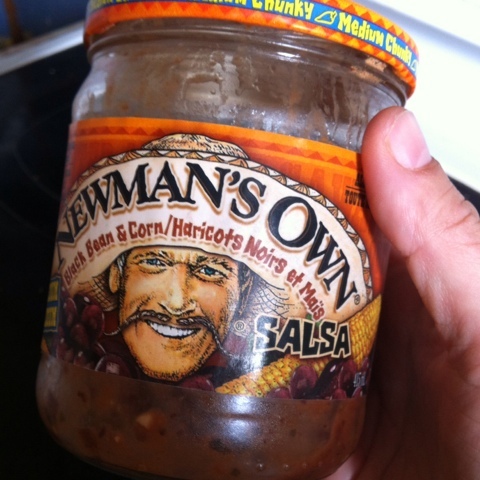 You can read my review of Newman's Own Salsa here. 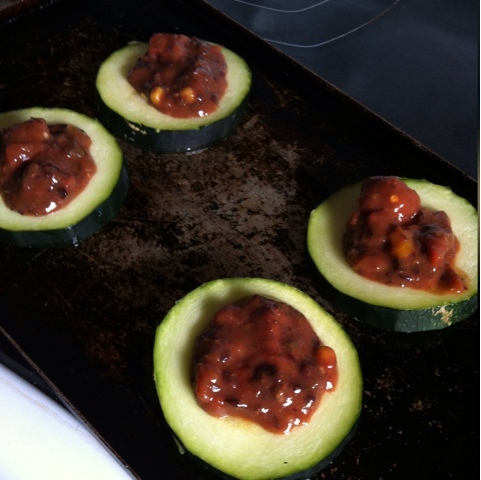 I oiled the pan, cut a few zucchini slices and then placed a dollap of salsa on each piece of zucchini. At this point you can add whatever pizza toppings you like. 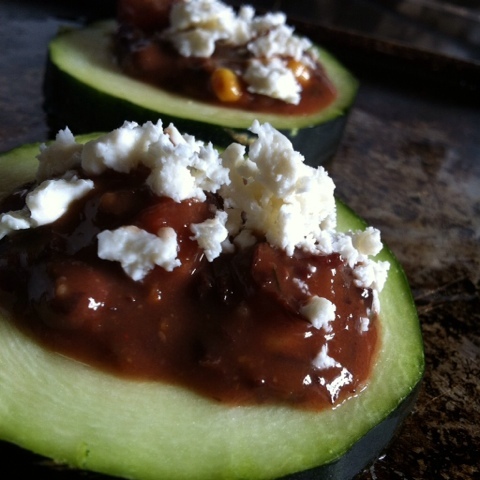 Since the salsa had so many great ingredients already in it, I opted to just add some feta. This salsa is so good, it's like chili. Seriously. Isn't it pretty. The feta is Saputo brand. Love the way it crumbles. I put them in the over until the bottoms were browned slightly. It took less than 10 minutes on 375. Just keep an eye on it, it depends on your oven. They turned out to be quite delicious. 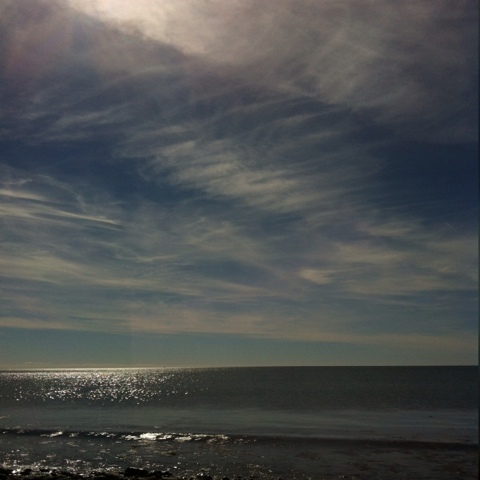 While I was on my beach walk, on Sunday, I was listening to a really great broadcast on CBC's Tapestry, which is one of my favorite among many of the great shows that air on CBC. The episode can be found here and talks about the psilocybin study being conducted at New York University. For those of you who are not aware, psilocybin is the active ingredient in Magic Mushrooms, it is a hallucinogenic and it is currently being studied for it's potential medical use, including it's use in terminal cancer patients facing existential distress. One of the aspects that they touched upon during the episode was "Can Psychedelic drugs help ease the fear of death?' It was interesting! They spoke with some of the participants that took part in the study. While listening, I couldn't help but think of the shamans who guide people through their own experiences while they travel deep within the depths of their consciousness. You can stream the entire episode here. Sometimes, when the weather is just right, I love to stroll along the beach. Near my house I can easily access Port Maitland Beach. It's about an hours walk or 5 minute drive away. Closer still there is the Short Beach Breakwater, which has no sand. It is all rocks and it is about a 10 minute walk away from my house. 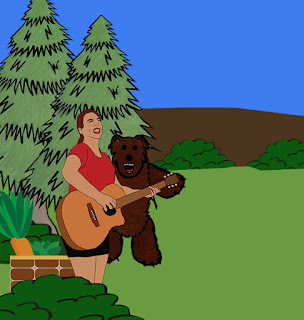 That is where this picture was taken, while I listened to a live stream of CBC's Tapestry. Got some giveaways for you today from all around the web! As per usual, the links are clean except for the referral that I additionally provide you with in some cases. If you enter using my referral link, I get an a bonus entry in that giveaway. Thank you! Happy Contesting Lovelies! Right now you can try a box of OB Tampons for free. Click on the link below and then click on the coupon tab. Scroll down to the bottom of the page and select the coupon for $1 off. You will then be redirected to Save.ca, where you will find a coupon for a Free 18ct box of OB Tampons. Hurry, this won't be active for long. PS: You can still order this coupon even if you did previously in late 2014, early 2015. There have been a few teachers who have greatly impacted me. My grandfather and a teacher I had when I lived in Nepean, Ontario, named Mrs. Ward greatly shaped who I am musically and as a performer. In high school, back in Nova Scotia, Mrs Churchill and Mr. Egan inspired me both helped inspired me artistically and as a thinker. I was graced with some amazing mentors while taking digital film making in University. We've all had a teacher in our lives who have directly impacted and inspired us. Let's take a moment to say thank you to all of the educators make it their business to pass knowledge onto us. This infographic was originally posted on Grammarly. I love taking pictures of some of the things that I see on my travels. This picture was taken while walking by the lake last Sunday. 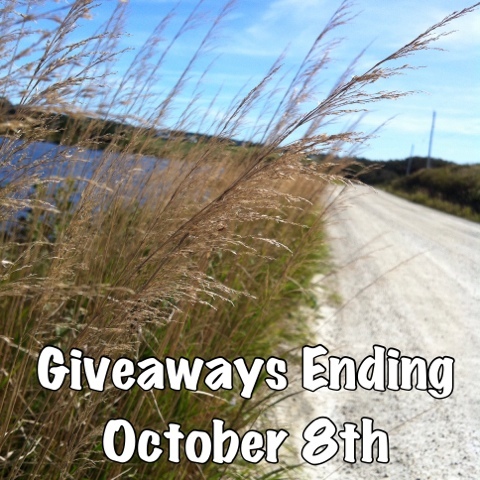 Here are a list of giveaways from around the web, put in one place for your entering pleasure. I have provided you with clean links for each of the giveaways. In a few instances I have also provided my referral link, if you enter via my referral link I will gain a bonus entry in that specific giveaway. Thanks! Happy Contesting Lovelies! Last month, I won one of Newman's Own Canada's Facebook giveaways and received a very generous prize pack filled with Salad dressings, Salsa's, BBQ Accessories and lots more! The prize pack was valued at $150. I'm very grateful to have received it. The products are of excellent quality. But what really sold me on the company? I found out that Newman's Own donates 100% of the profits earned after taxes to charity. That is a stand up company. To top it all off, one of my salad dressings had a leak in it and they immediately offered to ship me a new one. I'm just blown away. 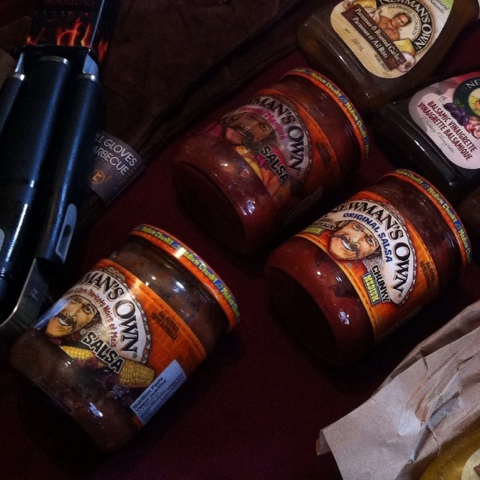 All of the products are amazing, but I really want to focus on the salsa's that I received. All three were medium hotness, perfect for me. Even my husband, who aside from Sriracha sauce, doesn't care much for spicy, enjoyed the heat. I thought that my favorite was going to be the Mango salsa. I love mangos! As a salsa, I found it a little too sweet for my taste. It is however great for dipping. I think the mango salsa would perfectly compliment certain recipes though. The Original was delicious and I really enjoyed it with my nachos. It hands down beat pretty much every store bought salsa that I have tried to date. The show stopper for me was the Black Bean & Corn salsa. This was so delicious and thick that it tasted like chili. I've been putting it on everything. I'm definitely going to buy this in the future. Check out Newman's Own Canada's website to learn more about the company and to see how much they have donated to charity to date! Disclaimer: I received these products as the result of a giveaway I won on Newman's Own Canada's Facebook Page. They did not ask me to review their products. I did it because I'm really impressed with their products and the company as a whole. Keep up the good work! Last week my youngest son decided that he wanted to take steps towards Vegetarianism. I decided that the best way to support him was to take these steps with him. I've been quite curious about the lifestyle myself and have some Vegan friends who are there for additional support and advice about healthy eating. My husband and other son are still eating meat but they have decided to incorporate more Vegetarian meals into their diet. Tyler and I decided that we will not eat red meat, or chicken but we are still at this time having small amounts of seafood on occasion. We are also still eating eggs and dairy right now, but will choose alternatives to eggs and dairy if they are available to us at the time. Baby steps, but I'm proud. He is a very compassionate child and I want to encourage him. The last week, I've been working on getting my eating and portions in check. 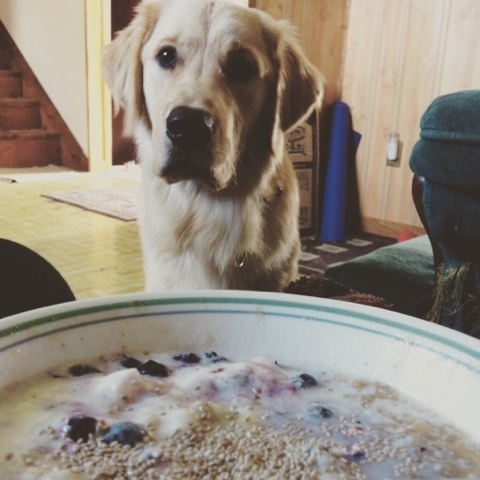 For breakfast, each day, I've had Oatmeal, with plain Greek yogurt and frozen wild blueberries. I sprinkle chia seeds on top. My furry companion was very interested in my breakfast this morning. He's a cute one. We could probably teach him circus tricks for food. He loves food. Would you be willing to alter your diet for your children? This picture was taken at the lake near my house. 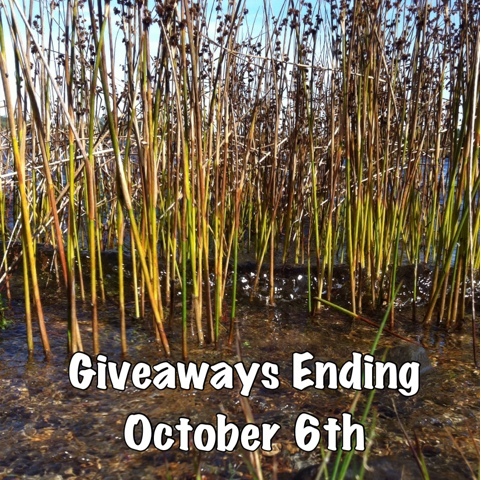 The following giveaways end on October 6th. I have provided clean links for your entering pleasure. I also provide occasional referral links in addition to the clean link. 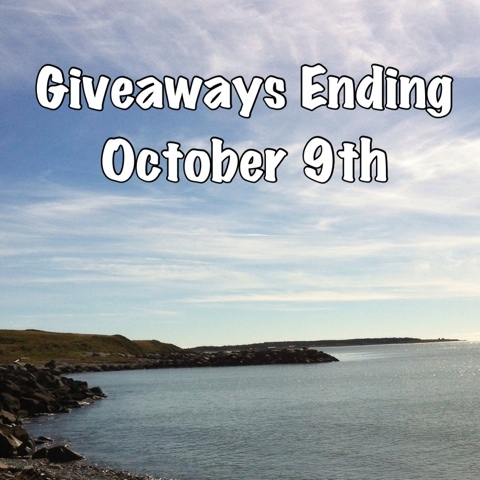 If you enter via my referral link, I will earn an additional entry in the giveaway. Happy Contesting! Happy first week of October! It is a lovely day today. It is a little on the cool side, but I walked around the neighborhood. I'm a chronic pain sufferer and I was having a flare up, so the walking was needed therapy. I was grateful to have such beautiful weather today. Here are some giveaways open to Canadians. 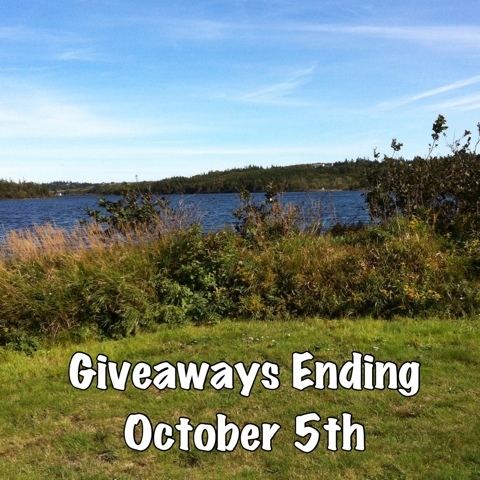 These giveaways expire on October 5th. I have provided clean links for your entering pleasure. In addition to the clean links, I have also provided Referral links to certain giveaways. 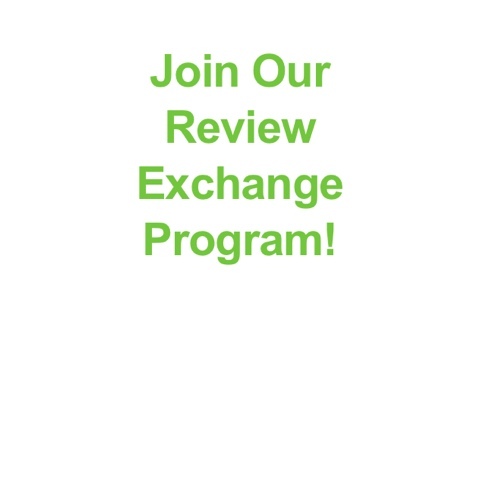 If you enter via my referral link, I will earn a bonus entry. Happy Contesting, lovelies! Here are some giveaways open to Canadians. 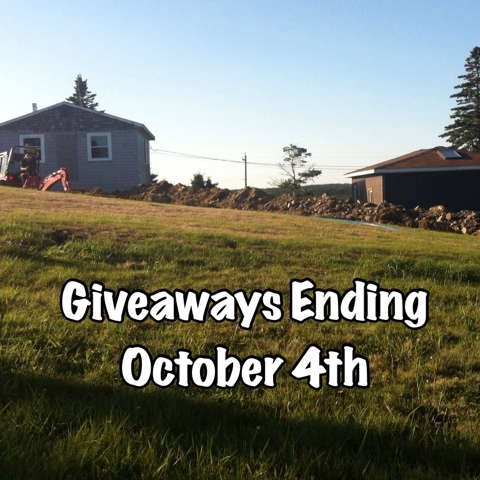 These giveaways expire on October 4th. I have provided clean links for your entering pleasure. In addition to the clean links, I have also provided Referral links to certain giveaways. If you enter via my referral link, I will earn a bonus entry. Happy Contesting, lovelies! 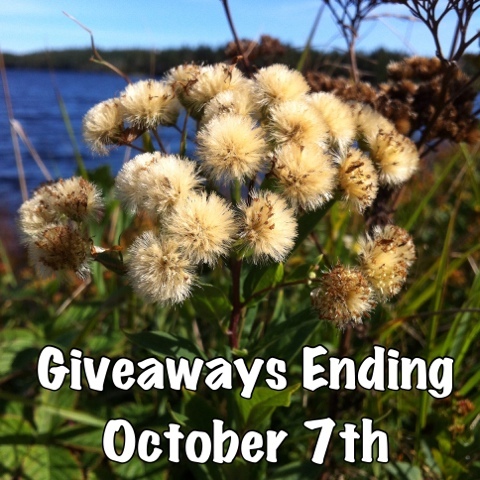 Don't forget, I post lots of giveaways on Facebook, Twitter, Instagram and Pinterest.